As is known, I'm still working on an optimal equatorial mount for my LS6. The latest works are still running at stabilizing the wedge for an LX90. Next week everything will be ready and I'll post the first pictures and report. 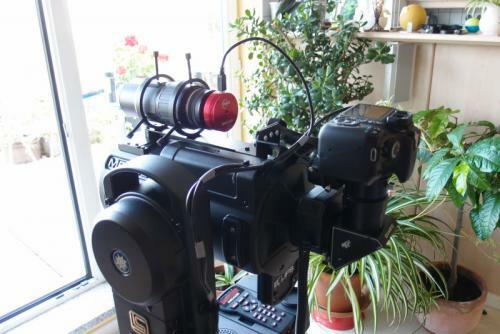 For later astrophotography I would like to Tracking on PHD2 and a suitable guide tube and guiding camera. 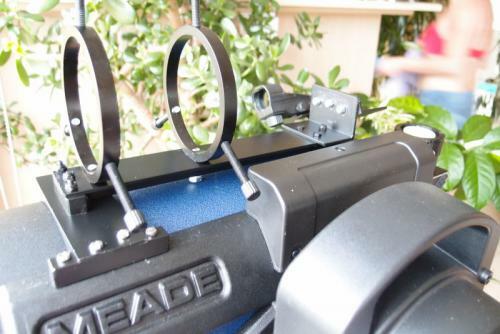 Does anyone know what I need to do to bring a Meade LS6 for PHD2 Guiding? I know that this is already doing Marco here in the forum. Maybe he can help me, because its location is here in Europe and the world is well known, small and maybe you can meet as. Thank you, am grateful for any hints. Guiding with PHD2 and the LS6 is not difficult. 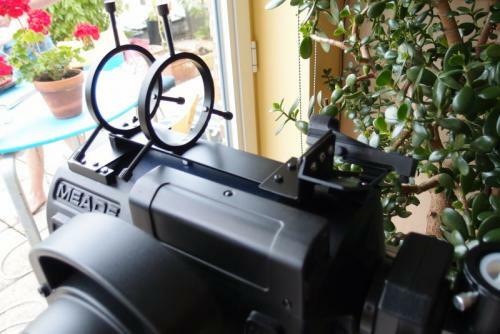 the difficult bit is to attach a guide scope to the LS6 that it does not have a suitable attachment, you could try to fit a mini guide scope in the place of the red dot finder, but I do not know if the shoe will fit. Or you can do like I did and make a construction to piggyback a guidescope. see those pics for an idee. I knew that you present yourself, thank you. The problem is not the fixing of the guide tube at the LS6, but the wiring of Giudingcamera with the LS6? Which terminal of Guidingcamera is used (USB or ST-4)? Which port is used on the LS6? Specifically, how do I connect the Guidingcamera on LS6 so on PHD2 I can LS6 guiden that? How do I get ST-4 connection to the LS6? I have installed the latest ASCOM Platform! Is that sufficient or what I need to have? These are many questions, but I think it will not be the last. Thanks Marco! When I'm done with my modifications to the LS6, I will report and also set images! you connect the Guide camera with the USB cable to your Laptop or PC. You connect the LS6" with the usb cable to the same laptop or pc. You install the ascom platform 6 SP1 or the latest available. Do not use other drivers because they will not work, the above driver is the only one that I got the lot working. 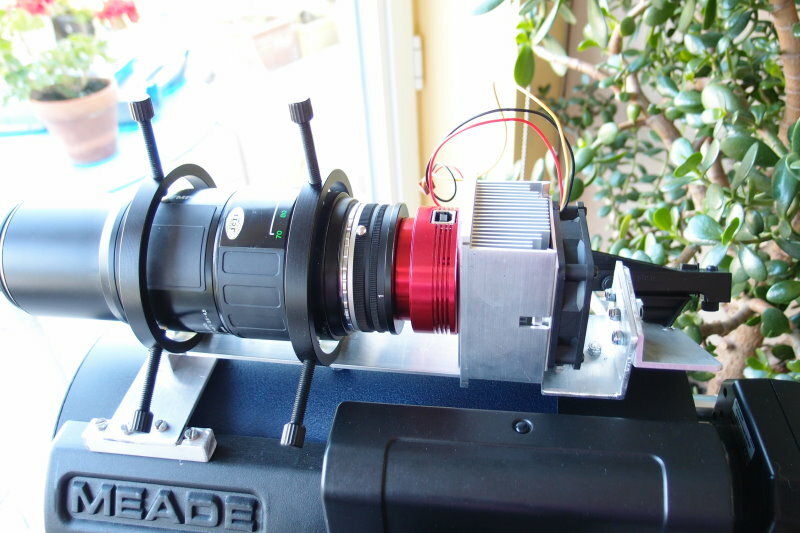 Once the driver is installed, and the scope and the guiding cam and your imagining camera are connected. You can start PHD2, and then connect to the guiding camera and the LS by choosing the correct drivers. you can connect also to your favorite Stellarium app with this ETX-LS6 beta driver, and enjoy! Thanks for the answer. I have an account at Yahoo, but come with your link is on the ETX-LS Beta driver. No access to the file section! is done! I downloaded the driver. Where should these drivers are installed? the instructions are to be found in the ReadMe file contained in the zip folder you downloaded. Thank you for the hints. I'll try it, am not sure if it eventually works sometimes. I'm still in the preparations for PHD2. 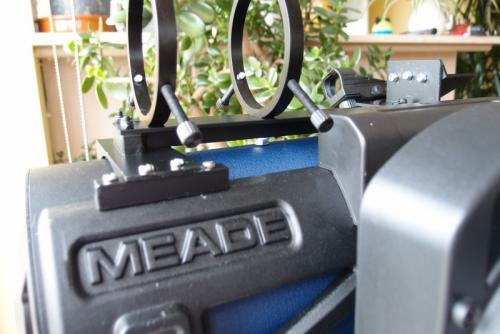 I read your posts and installed with success the meade LS 6 beta driver and PhD2. I use also Backyard EOS which can handle Ascom drivers as well. 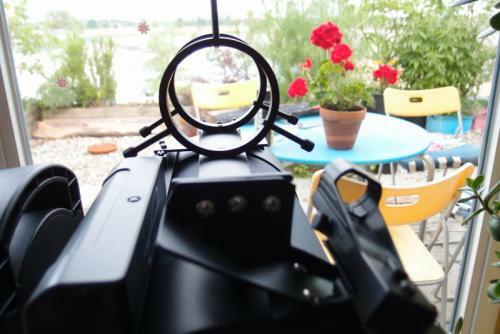 1- Which camera and guiding scope did you buy? 2- Do you use a focal reducer? 3- What is the typical tracking error achieved in arcsec? the corresponding exposure time? and the pixel/arcsec resolution? this thread is not read anymore? It is still active. Not sure if the right people have read it. When you get a message that someone likes a post you made, they have clicked on the "Like This" button in the lower right of your post. It simply means they liked what you wrote, but did not actually make a post themselves. Thank you Bill for the Enlightenment!